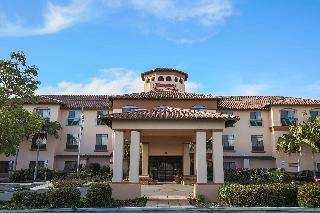 This comfortable hotel can be found in Camarillo. The hotel consists of 70 rooms. No pets are allowed on the premises. This wonderful hotel is conveniently located one mile from Camarillo Premium Outlets and less than 20 minutes from the San Buenaventura State Beach. Hotel facilities feature an outdoor swimming pool with a hot tub and flat-screen TVs.The rooms at the hotel are allwell - equipped as standard and have pay-per-view channels and free Wi-Fi. A work desk and coffee maker are provided. All rooms feature an en suite bathroom. A fully â?? 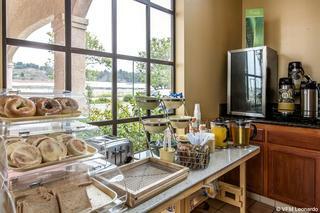 equipped gym and a business center are also part of this Camarillo hotel. A hot continental breakfast is served every morning and free parking is available to those arriving by car.Downtown Ventura, California is 20 minutes from the hotel and Point Mugu State Park is 12 miles from the hotel.